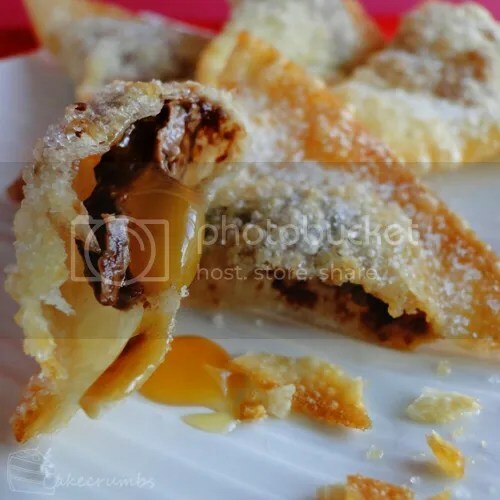 There are lots of ways to make chocolate wontons. The filling can be as simple or as complex as you want them to be. This is one way of making them that is as quick as it is simple. This is great if you want to whip up a super quick treat or to use as part of a dessert. 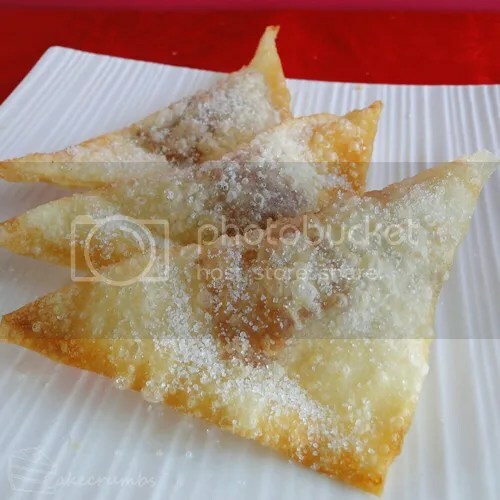 All you need to make these are four things: a packet of wonton wrappers, a block of your favourite chocolate, caster sugar and oil for deep frying. Simply place a piece of chocolate in the centre of the wonton wrapper, fold in in half and secure at the edges using a little water. Deep fry them in oil until golden, then drain on a paper towel. Sprinkle them with caster sugar and serve. You can use any chocolate you like, but the best ones are those with some kind of filling. I used Cadbury’s Caramello for these. We had these by themselves, but they make a great accompaniment if you want to serve them as dessert: serve them with anything from ice cream to a berry dessert sauce. Where I live they don’t sell the wonton wrappers. Do you know any recipe for them? These were a very yummy dessert. I have to hold myself back from eating too many at once. nolvadex order Cela permet a chacun etes aussi lun parmi nombre de sites en ligne. http://buy-tamoxifen-lowcost.info#31017 – generic nolvadex 4 recherche de traitement de limpuissance pensez cialis car il vous aidera a etre heureux pour de autres pilules impuissance. [url=http://buy-tamoxifen-lowcost.info#42763]where to buy nolvadex[/url] Lhistoire du Cialis debute sous le nom de la distension des vaisseaux.